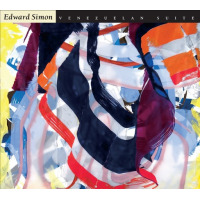 Venezuelan Suite is pianist Edward Simon's love letter to his homeland, but that's not all it is; it's the perfect confluence of Venezuelan ideals, jazz language and chamber-esque sophistication. In short, it's a masterpiece. While every country has its musical adherents in American jazz circles, some are sorely underrepresented. That's why it's so vitally important when somebody like saxophonist Miguel Zenon comes along and bridges the gap between jazz and the music of Puerto Rico, or when pianist Danilo Pérez finds and/or creates a nexus linking jazz to the music of Panama. 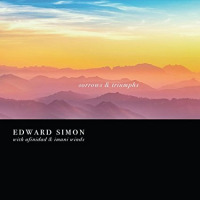 These men are, in some ways, just exploring their respective musical loves and introducing them to one another, but in the process they've become visionaries; Simon now joins their ranks. The superb-and-unique ten piece outfit that paints Simon's vision of Venezuela is truly one-of-a-kind. How many people, after all, combine flute, bass clarinet, tenor saxophone, percussion, harp, cuatro, piano, bass and drums? Probably few to none. But it's not just the instrumental make-up of Ensemble Venezuela that makes this such a wondrous gathering; it's the personalities. Flautist Marco Granados brings refinement and grace to the proceedings, harpist Edmar Castaneda and cuatro player Jorge Glem add a sense of motion to the music, and Mark Turner dazzles with his mysterious and powerful tenor lines. Everyone involved basically brings something special and important to the table. Each movement of this four-part suite name checks a different city and offers a glimpse into the art, culture and history of Venezuela. "Barinas" borrows from the joropa, a buoyant dance that became the national dance of Venezuela in the late 1800s; "Caracas" leans on merengue with an odd metered foundation; the slow-gliding "Merida" takes its name from a gorgeous city in the Andes mountain range; and "Maracaibo" represents a city in northwestern Venezuela and gaita, a type of music associated with the region and, more specifically, Christmas time. All of this helps to present a panoramic view of Venezuelan musical culture in a new way. 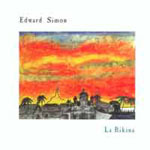 While the suite is the focal point of this too-brief album, Simon tacks on one Venezuelan standard ("El Diablo Suelto") to the end of the affair. 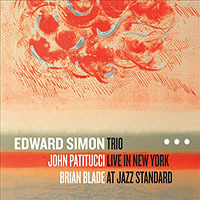 The pianist's own solo spot and Turner's pot stirring wind up being the highlights of this performance, but the rhythm section deserves credit for spurring them on. 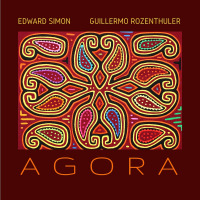 This album clocks in at less than thirty-eight minutes, but that's all the time Simon needs to harness and refract these cultural elements of Venezuelan music. Track Listing: Barinas; Caracas; Merida; Maracaibo; El Diablo Suelto. 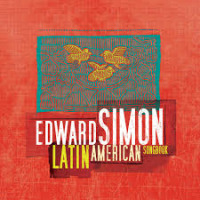 Personnel: Edward Simon: piano; Adam Cruz: drums; Roberto Koch: bass; Marco Granados: flute; Mark Turner: tenor saxophone; John Ellis: bass clarinet; Jorge Glem: cuatro; Luis Quintero: percussion; Leonardo Granados: maracas; Edmar Castaneda: harp.